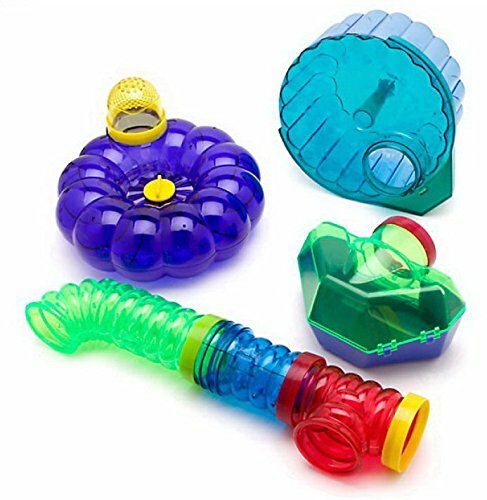 Assorted8.5 InchSmall Animal8.5 Diameter Features A Safe, Solid Running Surface, Quiet Operation And A Tail-safe Design. 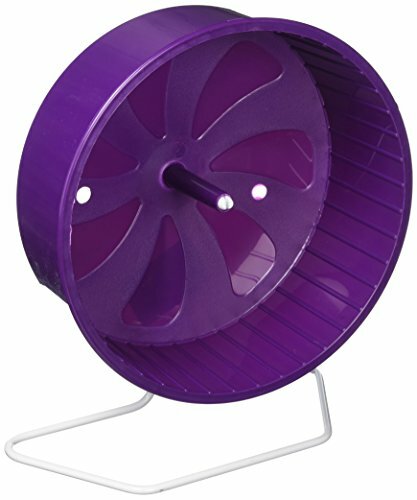 Comeswith A Heavy Duty Wire Stand And A 2-way Attachment Clip, So The Wheel Can Be Used Either Free-standing Or Clipped To A Wire Cage.For Hamsters, Mice And Gerbils. 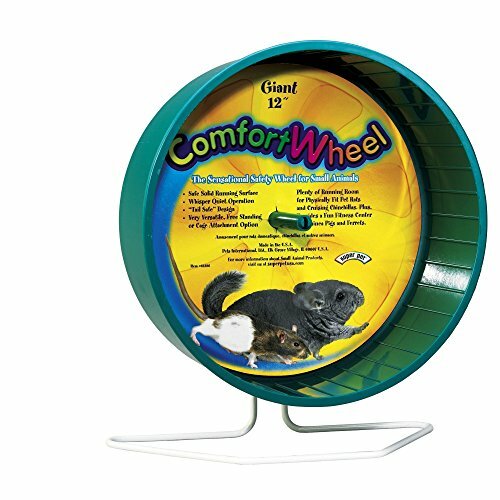 Space saving Snap-on Comfort Wheel creates an external exercise area for small animals. Safe and quiet operation means very little disturbing noise. Easy to clean, removable Waste Collector Cup keeps the pet's area clean and sanitized. CritterTrail accessory kits offer an easy way to expand any CritterTrail habitat. Accessory kits offer a great way to expand your pet's living space to create the ultimate habitat. The universally connectable kits are designed to provide a safe nesting area for curious critters and promote exploration, exercise, and healthy habits. Safe, solid running surface. Whisper quiet operation. Tail safe design. Can be free standing or attached directly to any wire cage. Please note: You will receive a random color from an assortment. The color you receive may not be the same as shown in the image. Sizes: Small (14cm/5.5in) is ideal for Hamsters, Mice and Gerbils. 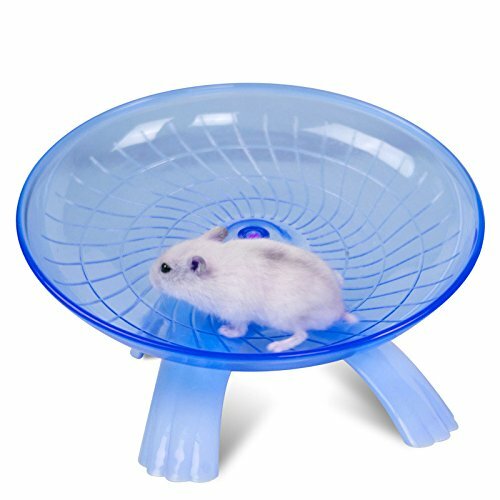 Large (22cm/8.5in) is suitable for Hamsters, Gerbils or Hedgehogs. Giant (30cm/12in) is ideal for Chinchillas and Pet Rats. Plastic build. 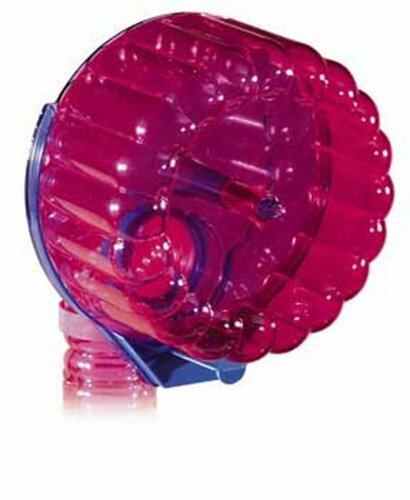 Critter Cruiser is an exciting pet powered exercise car for hamsters and gerbils. 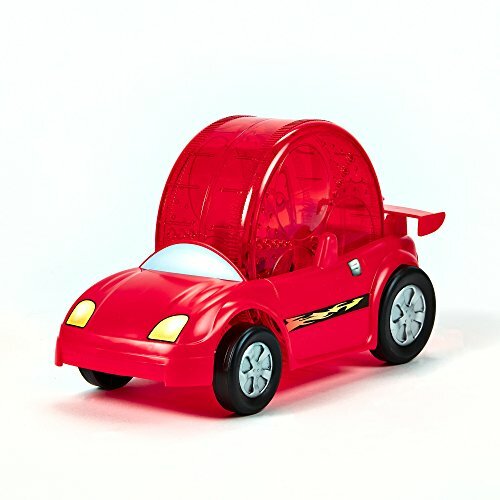 Critter Cruiser's adjustable racing wheel allows for the car to work in three different ways! First, when the Comfort Wheel is in the top position, exercising critters spin the Wheel and the Critter Cruiser remains stationary. Interactive fun begins by adjusting the Comfort Wheel into the middle position. In the middle position, you can watch your pet turn the wheel and roll their Critter Cruiser on any flat surface. 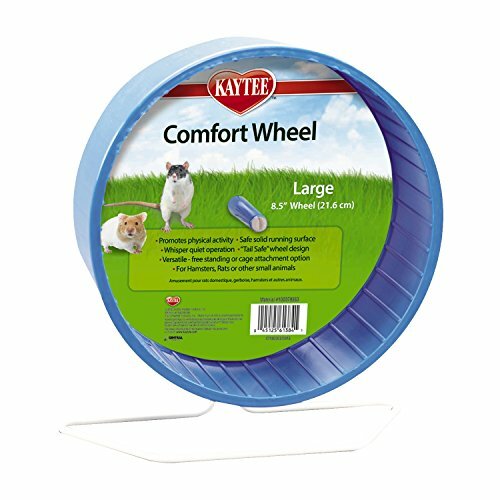 By adjusting the Comfort Wheel to the lowest position, the Critter Cruiser will work directly on Kaytee’s Hamtrac. Yijiujiu allow hamsters to run even though they don't have a lot of room in their cages. In the wild, a hamster can run for several miles in a single night, but they obviously can't do this if they're confined to a cage. At least, not without a wheel. And here's a list of why you must use Yijiujiu. 1. It has safety feature, solid running surface and quiet movement. 2. 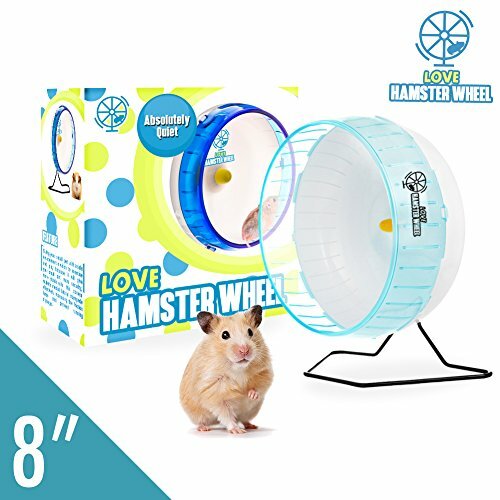 Perfect for hamsters, gerbils, Chinchilla, hedgehogs or other small animals. 3. The safety feature comes from the size, stand and closed back to prevent your pet from getting stuck, thereby significantly reduce the risk of injury. 4. It is made of premium grade PP material which is really durable, and simply won't break or crack for many years to come. 5. Not only that, it also easy to assemble so you won't have a problem when it comes the time to clean it. 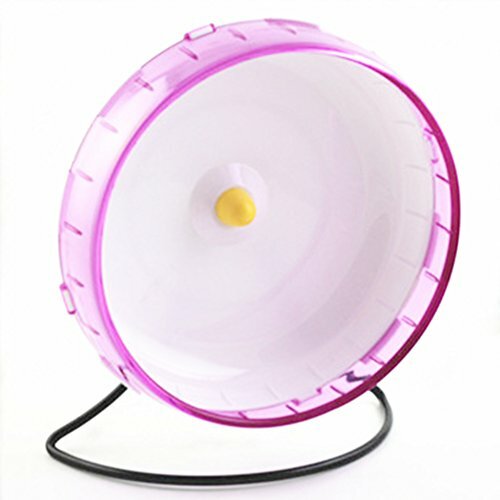 Description: Item type: Flying Saucer Exercise Wheel Function: Providing your pet with more to explore and climb. Benifits: Keeping hamster healthy and active. 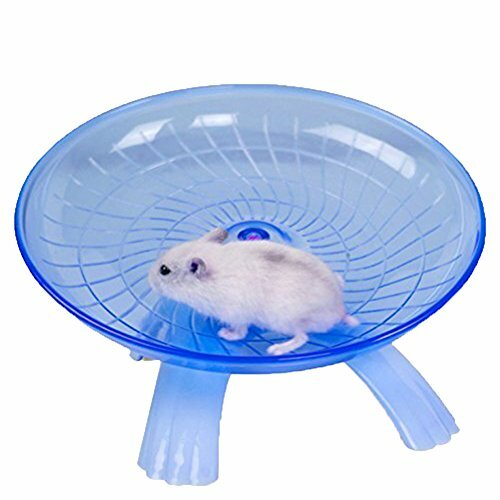 Item Size: 18*18*11 cm/7.09x7.09x4.33 inch Weight: 190g (with package) Color: Pink/Blue Style: Cute Steel bearing: Silent and durable Disc: Safe for Pet Surface: Solid Surface Fit for: Small Pets (Like Hamsters) Material: Plastic Package included: 1x Flying Saucer Exercise Wheel Please contact us first when you have any problem,we will give you the best service and solve the problem ASAP.Thank you so much. Copyright © Wholesalion.com 2019 - The Best Prices On Comfort Exercise Wheel Online.